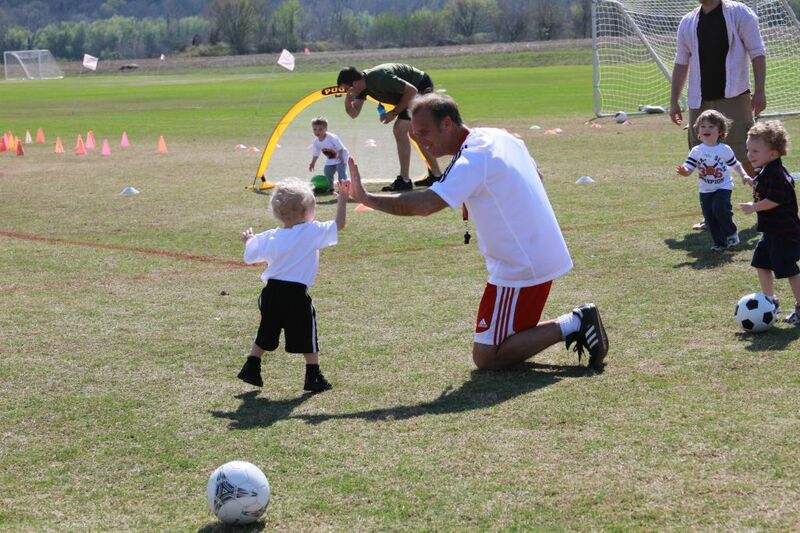 In 2010 ASC established the Fireflies classes to introduce toddlers to soccer with games that allow them to run, play as a group, and learn basic soccer skills. While building on fundamentals such as balance and coordination they practice basic soccer skills. Classes incorporate activities that are geared toward a toddler's unique way of learning and include tall cones, chasing bubbles, running an obsticle course, lots of goal scoring and more. The ratio for Fireflies classes is 20-25 players: 2 coaches with parents on the field. Adult/parent participation is required. Shin guards and cleats are not required at this age. But your player DOES need a size 3 soccer ball.